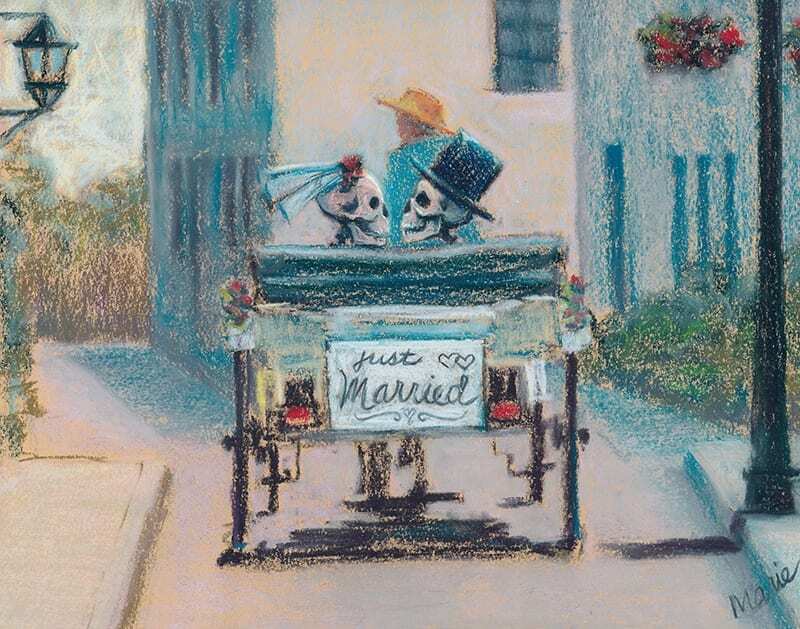 In this painting, a skeleton couple enjoys a horse and carriage ride through the bright streets of St. Augustine, Florida. Honeymooners, they’re so romantic! This is one of many paintings from my skelly series, Greetings from St. Augustine. This image is currently represented by Art Licensing International, Inc.
Clicking the Buy Now button will take you to the PayPal website. You do not have to join PayPal to purchase a painting. Please allow 2 weeks for delivery of artwork. If you are purchasing from outside the USA, please contact me about possible additional shipping costs.